Flûtes-en-Bois will present a concert featuring works by Bach, Telemann, Linike, and Stravinsky. Free will donations to benefit Prospect Congregational Church. Flûtes-en-Bois, directed by Janet See, is a truly unique ensemble, and possibly the only one of its kind in this country. 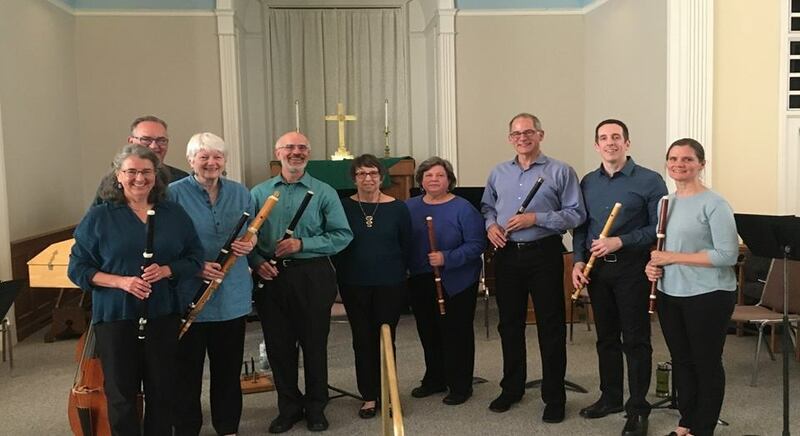 The ensemble was established in 2010, as a result of a large and enthusiastic gathering of local baroque flutists at the renowned Baroque Flute Workshop, held each summer at Seattle Pacific University. The flutists perform on wooden, one-keyed baroque flutes, which is the type of instrument for which all 18th century flute music was written. The sound is particularly sweet, warm, and expressive. Flûtes-en-Bois members: Terry Barnett, Charles Cooper, Liz Hunter, Sarah Pyle, Miguel Rodé, Marty Ronish, Molly Warner, Lee Inman (Viola da Gamba), Mary Ann Hagan (harpsichord). Directed by Janet See.